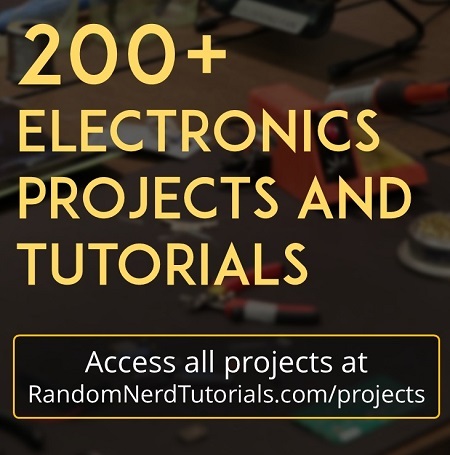 Are you looking for an oscilloscope for your electronics workbench? 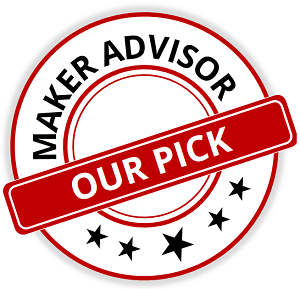 Throughout this article we’ll show you how to select the best oscilloscope to suit your requirements whether you’re a beginner, electronics hobbyist or maker. 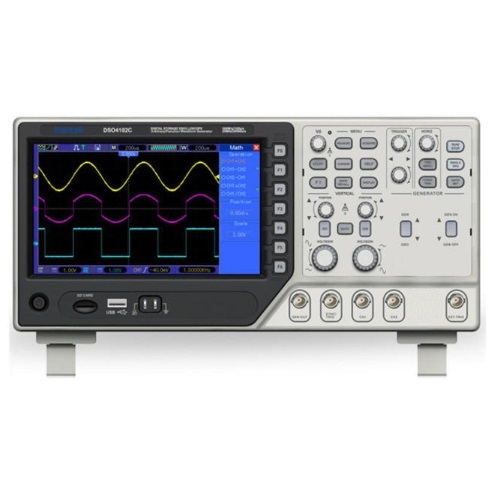 Here’s a table comparing a selection of some of the best oscilloscopes for hobbyists. 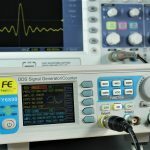 Keep reading this article to take a detailed look at each of the selected scopes and find out how to select an oscilloscope that meets your needs. How to Select an Oscilloscope? 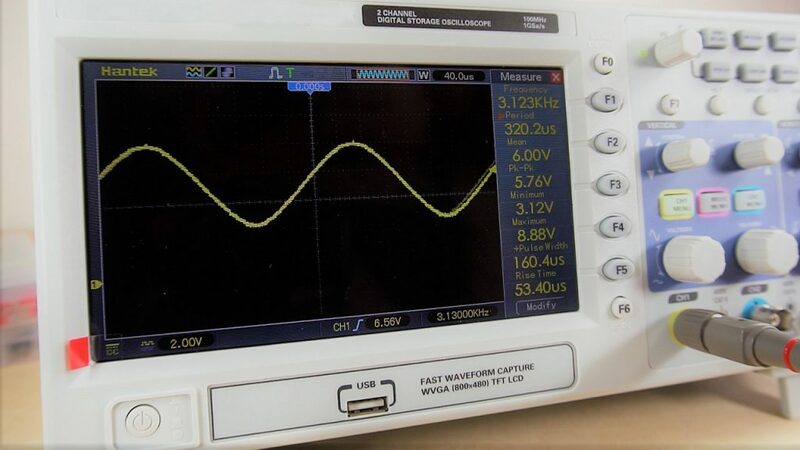 An oscilloscope is a tool that allows you to see how voltage changes over time. It is very useful to check electronics circuit operation, analog signals, debugging circuits, etc. To select an oscilloscope, you need to know what kind of signals you’ll need to measure. That will determine the specifications your scope must have. For example, you need to have an idea on how many signals you’ll need to measure at once; what is the maximum frequency and the maximum amplitude of the signals you’ll measure; if you’ll measure repetitive signals, or if you’re looking for single shots. Bandwidth: this determines the frequency range in which the oscilloscope measures accurately in the display. As a rule of thumb, you should select a bandwidth 5 times higher than the maximum frequency of the signals you’ll mesure for more accurate results. 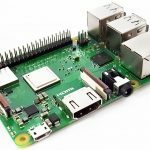 A 100MHz bandwidth is more than enough for most hobbyist circuits. Sample rate: this refers to how many samples per second the oscilloscope takes. The higher the sampling rate, the more accurate the results for faster signals. A higher sampling rate ensures you’re able to detect intermittent events. Number of channels: for entry-level oscilloscopes, it’s common to see 2 and 4-channel scopes. Adding more channels adds to the price. For a hobbyist, a 2-channel scope is usually enough. Price: the price is a very important aspect, as it will determine how much you can spend on a scope. 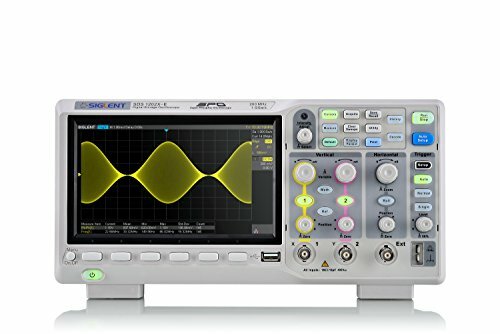 There are great entry-level oscilloscopes around $250. 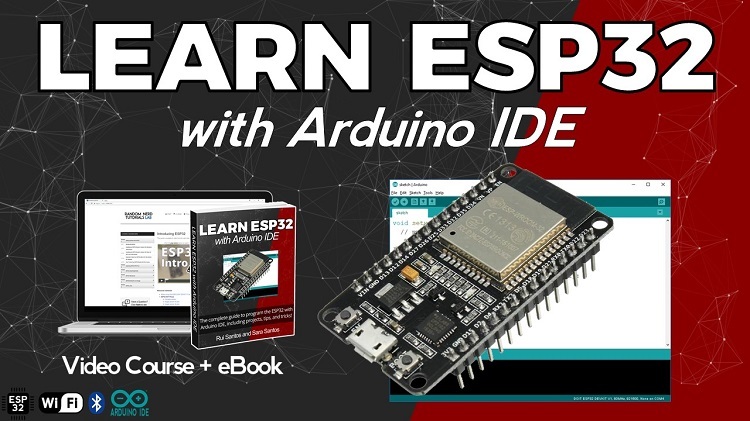 However, if you don’t have such amount of money to spend on this tool, you can always get a toy oscilloscope or a DIY kit to analyse basic circuits. 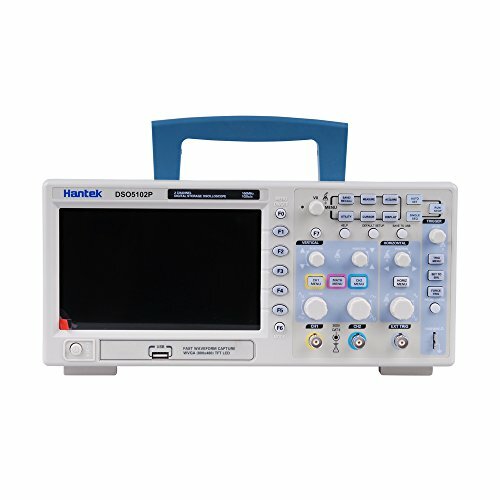 In my opinion, the Hantek DSO5102P is one of the best entry-level oscilloscopes you can get for such price. It has a 100MHz bandwidth, a sample rate of 1G samples per second, record length up to 40K, and it is dual channel. 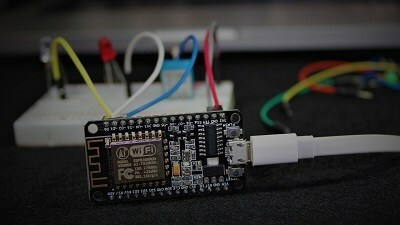 Additionally, the USB port allows you to connect a USB drive to save pictures of the signals. 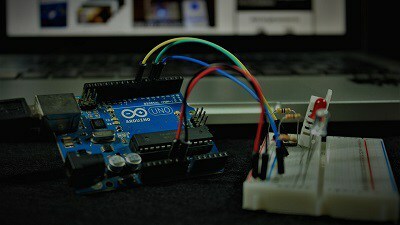 It can also be connected to your computer, and use the software provided to analyse your measurements in more detail. The scope is very easy to setup and the menus are intuitive to use, which is perfect for beginners. 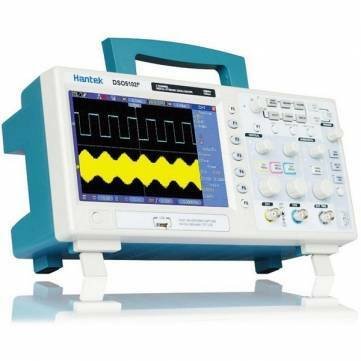 For a more in-depth look at this oscilloscope, you can watch the video review below or read here: Hantek DSO5102P Digital Storage Oscilloscope (DSO). 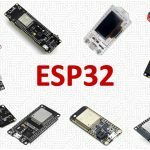 You can get this scope at a slightly lower price on Banggood. Just click the product card below. The Hantek DSO4102C has all its specs similar to the Hantek DSO5102P. But it adds an auxiliar channel to generate arbitrary/function waveforms. Rigol is a great brand of oscilloscopes and other measurement tools. So, when you pick a Rigol oscilloscope, you know you’ll get a high-quality equipment. This specific model is one of the most best-selling oscilloscopes in the world. It comes with 4 channels and offers 50 MHz bandwidth. Additionally, it also comes with USB connector, LAN(LXI) (you can connect an Ethernet cable) and AUX Output. 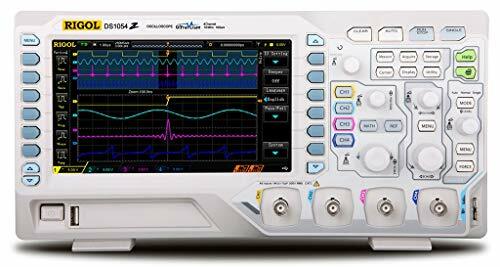 This is a great oscilloscope when you take a look at price/performance. For under $300, the DSD105DL+ from Siglent technologies can be a great option. When it comes to its specifications, it features: 50MHz bandwidth, sampling rate of 500Msamples/s, dual channel, interface via USB, USB host, and LAN. 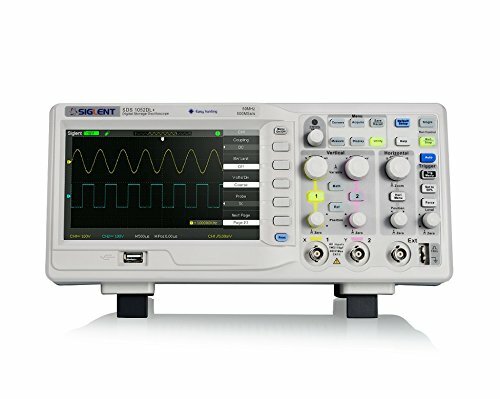 Other great scope from Siglent Technologies is the SDS1202X-E that offers 200MHz bandwidth, two channels, sampling rate of 1GSample/s, and much more. Visit the product page for more details. 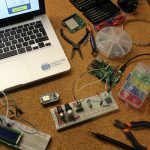 If you can’t afford a “real” oscilloscope, there are DIY kits and toy oscilloscopes that may help you with your circuits. Obviously, these tools are not as accurate as a real oscilloscope and don’t have all the fancy mathematical functions, but still they can do a great job. One of the best options is the DSO150 digital oscilloscope. 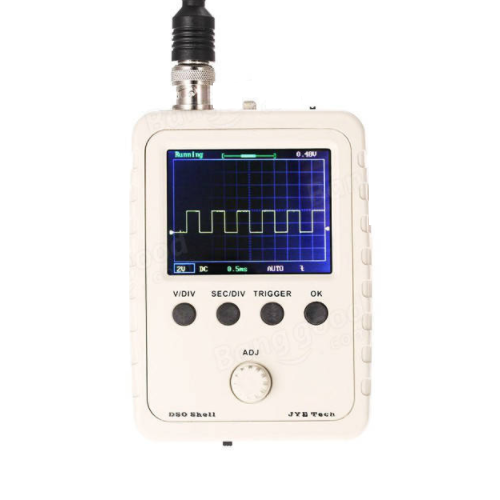 This is a very simple scope with a single channel, 200kHz bandwidth, and 12-bit resolution and it only costs about $25. 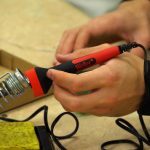 This tool doesn’t replace a real oscilloscope, but it is good enough for hobbyists looking to debug circuits where accuracy is not mandatory. Also, this can be a great tool for learning purposes. 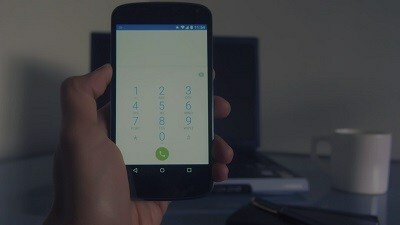 Watch our video review (or read our review). Another alternative is the DSO138. It’s specs are similar with the previous scope: single-channel, 12-bit resolution, 200kHz bandwidth. This scope is a DIY kit, and it is also available already assembled inside an acrylic housing. Personally, I prefer the previous scope because the controls seem more intuitive to use. However, it is just a matter of preference. In this article we’ve shown you some of the best oscilloscopes for electronics hobbyists and makers. Our number one pick for beginners and hobbyists is the Hantek DSO5102P Digital Storage Oscilloscope. Hantek DSO5102P Digital Storage Oscilloscope - It's one of the best entry-level oscilloscopes when it comes to price/quality ratio. However, all models presented are great oscilloscopes, and you won’t be disappointed whichever you chose. Remember that you should take into account your specific needs, and select a scope with the right specifications. For more information about a specific oscilloscope look for its datasheet online – you’ll find all the details. We hope you’ve found this buying guide useful. Do you already have an oscilloscope or do you intend to buy one? Share your thoughts with us below.